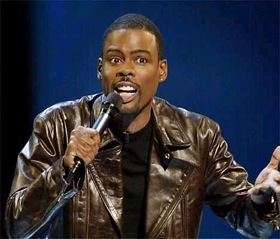 I was lucky enough to see Chris Rock in concert last Friday night at Detroit’s Fox Theater. One of his bits, funny enough, fit in with this blog. Since we’ve been talking about raises recently, I thought I’d pass along the gist of what he said, without blowing the joke. Chris had a long bit about how Americans are addicted to spending. Yadda, yadda, yadda… And whenever we get a new raise, what do we do? We immediately go and spend that raise so that in the end, we’re just as broke as we were before… despite the raise. How true is this? I know. Next Time You Get That Raise, Don’t Change Your Budget Or Your Lifestyle At All. Don’t spend the raise. Why? Cause if you go get that car then… congratulations. You have a better car. But that raise is basically gone. It’s meaningless. You won’t feel it in your budget or your daily life. That $50 a week, extra $2600 a year… it’s gone. Your life hasn’t changed, or your lifestyle. You had a car before… you have a better car now. But nothing has really changed. Your lifestyle is exactly the same. What if you did the opposite? What if you took Chris’ advice and didn’t spend the raise? That extra 50$ a month would start to pile up in your wallet or your savings account. You’d begin to notice it. You’d have extra money lying around. You could afford a better friday night out. Or a better vacation this summer. Or, you could use it to pay off debt, which would double you down and free up even more money down the road. In other words, if you don’t spend your raise, and you just let it soak into your daily life and daily budget… low and behold, you might actually feel richer. You might actually feel like that raise meant something. Instead of just pissed away on a quick indulgence, leaving you with the same baseline expenses you always had. Ask Brian – When Should I Ask For Another Raise? I’ve started re-directing parts of raises to automatic savings — so if I were to get an 8% raise, I might increase my 401(k) contribution by 2%, put 2% in an IRA, and another 2% into savings – keeping the rest to use in whatever way makes me happiest. Good strategy. It’s that whole automatic savings philosophy. Auto 401k contributions and whatnot. Saving money is easiest if you don’t notice you’re doing it. Hey Brian, check out this Youtube video of my special bond w/Chris Rock …. Everytime my wife or myself get a raise or come into contact with extra cash, we try to pay off the car loan that we just recently aqcuired. Once that’s done, we work on paying off our mortgage. It’s always important to pay off your higher interest rate loans first, then work on the smaller ones.